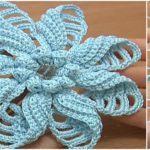 3 D 10 Petal flower is on the most beautiful crocheted flower as you can see on these pictures. 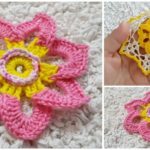 We have Video tutorial For This lovely creation by humans hands and with our hobby crochet. 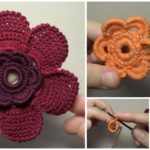 If you have red all our posts about flowers and have watched video tutorial you will collection now, but this one must have place in your huge collection. 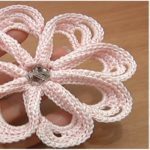 10 petal flower is another one that makes your clothing, blankets or accessories more beautiful and attractive. 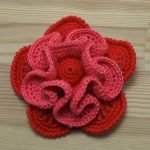 While your are crocheting this flower we hope author is making new design for us and thanks for that. 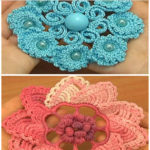 Choose color and please enjoy.